Ssamjang is the special sauce that gives ssambap that special 'pow', 'wow', or 'bam'. Ssambap translates to 'wrapped rice' and the wrap can be anything from lettuce leaves to thin rice paper wraps. But ssambap is most commonly eaten as some sort of protein (beef, chicken, pork) wrapped with rice and ssamjang (wrap sauce) in lettuce leaves. Everyone has their own ideas about this condiment, so there's a lot of variation. This recipe is spicy-sweet, full of garlic, and not too thick. 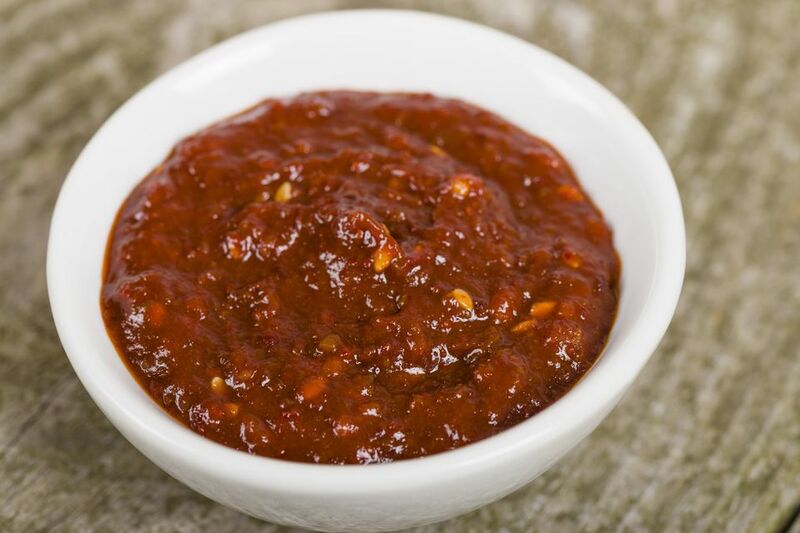 If you prefer earthier flavors and less spice, then you can switch the amount of kochujang and daenjang in the recipe. Mix all the ingredients until well blended and chill. Store extra sauce in an airtight container in the refrigerator. Depending on the type of kochujang and daenjang you use, your ssamjang may be too thick. You can thin with water or sesame oil.